A key Manchester United target could be set to leave his current club according to reports this weekend. 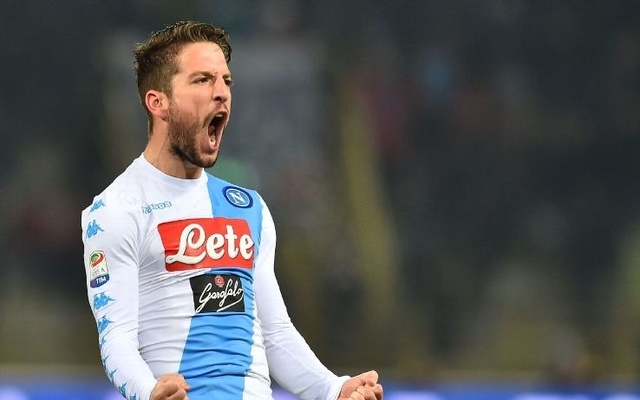 Dries Mertens is a longterm Manchester United target who could join a number of stars leaving Napoli this summer. The Belgian has been linked with a move to United repeatedly in the last year and it appears that the Napoli midfielder’s exit from the Naples club is looking more likely than ever. Football Italia have cited a report from La Gazzetta dello Sport, which suggests that a number of key stars could be set to leave the Serie A giants this summer. Most notably, the report linked both Marek Hamsik and Dries Mertens with moves away from the Italian top flight with Napoli’s squad looking to go their separate ways after an impressive domestic campaign this season. Just two weeks ago, the Manchester Evening News linked Mertens with a move to Old Trafford in the region of £27m. The report suggested that the Belgian could come in to replace Anthony Martial with Juventus looking to lodge a £44m move for the Frenchman. Martial’s future at United has continued to look uncertain in recent weeks with the Sun recently linking the Frenchman with a swap deal to Chelsea with Willian leaving Stamford Bridge for Old Trafford as part of the deal.